Homeopathy works on a simple principle – like cures like. If a substance can produce a disease in a healthy body then the same substance can cure that disease from that body. This principle was tested by the practitioners and the public both. It always stood verified. My aim in this article is not to present a compendium of thoughts, views and contributions by those great homeopaths. 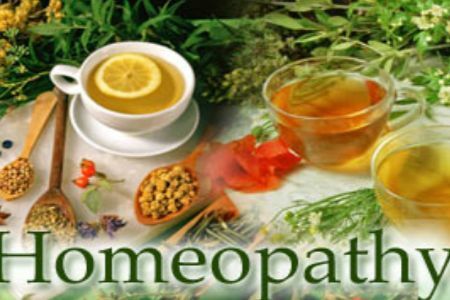 My limited effort is to present those aspects of homeopathy which attracted me to it when I compared them to other branches of knowledge e.g. Allopathy and Ayurvedopathy. The fundamental belief of allopathy is there that there is something outside, give it any convenient name, say a pathogen which attacks a body and produces a disease in that body. A pathogen may be a bacterium, virus, fungus or anything that one can imagine or discover in future. In its treatment the lines are drawn. A disease is considered as a battle ground between a body and that outsider agent – pathogen. Again some external substances, called medicines are sent inside the body to fight that pathogen. Now it is a matter of comparative strength which of these two sides wins ultimately. A particular type of medicines called Anti-biotic is used to annihilate that pathogen. The basic idea remains the same i.e. to help body in destroying the pathogen. In Ayurvedopathy (a new term with its implicit meaning) again some external substances i.e. medicines are used. But here the medicines are not used to fight a pathogen – an attacking agent from outside but it is used to align and synchronize a natural rhythm of the body. This rhythm of the body is an equilibrium of three Guña of the body i.e. Vaat, Pitta and Cough. Ayurvedacharyas are well conversant. In allopathy the centre of focus is the pathogen and its eradication. In Ayurvedopathy centre of focus is the rhythm of the body. The point of attention is shifted. In allopathy the details of pathogen were important and in Ayurvedopathy the details of equilibrium inside a body are important. But both of these “pathies” bank upon the ‘idea of compensation’. They stress that the body is lacking some essential substances. These substances may be outside nutrients like vitamins and mineral or internal secretions like hormones and glandular juices. Both these “pathies” believe that these substances can be compensated in the human bodies. They compensate them from outside sources called medicines. Here again is a small difference. Allopathy compensates the ‘deficiency’ in a body through artificially assembled substances. These are synthetic medicines. Their absorption in the body and hence the idea of compensation becomes unilateral and difficult. In Ayurvedopathy the compensating medicines are natural substances. While compensating the deficiencies they compensate ancillary elements also. The process is more natural and less damaging. But the real essence of difference in approaches of Allopathy and Ayurvedopathy is that the concentration of Allopathy is the external agents while in Ayurvedopathy the body and its Guña – equilibrium assumes the importance. The diseased body is also under the spot light. The later appears to a greater scientific approach. Homeopathy views the problem differently. It centers it view on the vitality of an individual. According to it, there is nothing external which can be called as a disease. It is a problem in one’s vital force. If person reports a problem like pain, cough, fever, fear or epilepsy then it is an indication of a problem in his vital force. According to homeopathy a disease does not reside in reality rather, as R Sankaran puts it, it is a delusion when the vital force fails to respond properly to its surroundings. Vital force of a person is his internal quality. He needs not go anywhere outside to stay fit and fine. He needs just to restore his vital force. This premise of homeopathy appears to be very logical and working. As per the pathogen theory – pathogens are present everywhere. Then why only a few people are affected by them. Even in days of epidemics some people are always there who are not affected by that disease. Why it so happens. Why do some pathogens affect only a few people and other pathogens a few other people. Had these pathogens been a cause of disease then they would have caused it to whole of the world because they are everywhere in the world. Why do they fail in causing disease in some people? Homeopathy says that only those whose vital force is vitiated report problems which allopaths call as diseases. Restoring vital force of an individual is the only way to keep an individual fit and disease-free. Here the only point of attention is the patient. If the vital force of a person is intact and abrasion free then no external factor or agent is to be enquired into for his wellness.